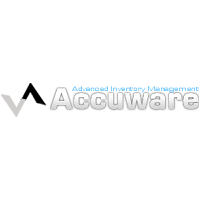 Effective inventory management software requires more than a spreadsheet; Accuware’s ProActive supply chain and inventory management solution fulfills the needs of companies both large and small with a complete system. For one, their supply chain management (SCM) and inventory control software makes it possible to access a database from any desktop or mobile device with an Internet connection; there’s no need to download any space-stealing application onto handheld devices. The web-based reports that it generates can easily be printed, too, because they’re downloadable in Adobe PDF format. It’s also possible to print to a Zebra Printer directly from ProActive, making label creation a breeze. Accuware’s clients are perhaps most appreciative of the fact that the program is completely scalable and customizable. For example, users can create profiles within ProActive so that certain employees can see and perform their tasks; furthermore, they can provide access to customers so that they can see inventory for their specific stock. No matter what access is given, it’s possible to turn off editing so that no one accidentally erases an important piece of data. The Home Depot, Viacom, Xerox and Heinz are just some of the companies that trust Accuware with their supply chain and inventory management software needs. Accuware uses Microsoft technology in order to keep their programs as modern and efficient as possible and, before they deliver anything to their clients, they put it through thorough testing to make sure it works seamlessly with a host of legacy applications. Learn everything you need to know about Accuware ProActive. Our experts will reach out to you shortly.